You Get Free Child Care and You Get Free Child Care! Everybody Gets Free Child Care! Now that everyone is familiar with the new House Ways and Means Committee members, it’s time to meet the newbies in the upper chamber’s tax writing committee: the Senate Finance Committee. Joining the committee this session will be Sens. Steve Daines (R-MT), James Lankford (R-OK), Catherine Cortez Masto (D-NV), and Todd Young (R-IN). Sen. Steve Daines (R-MT). Daines is the junior Senator from Montana, serving the state since 2015. In the Senate, Daines has championed policies aimed at defending Montana’s natural resources industries, internet privacy, and lowering the federal deficit. Daines voted in favor of the Tax Cuts and Jobs Act (P.L. 115-97). Daines has sponsored nine tax bills, including the Charitable Conservation Easement Program Integrity Act of 2019 this session. He has also cosponsored 27 tax bills. Daines is also on the Senate Committees on Appropriations, Indian Affairs, and Energy and Natural Resources, where he chairs the latter’s subcommittee on National Parks. Daines served one term in the House from 2013-2014, where he was on the Natural Resources, Transportation and Infrastructure, and Homeland Security Committees. Prior to joining Congress, Daines worked for Proctor & Gamble for 13 years and became vice president at RightNow Technologies, a Montana-based cloud computing start-up. Sen. James Lankford (R-OK). Representing Oklahoma in the Senate since 2015, Lankford describes himself as a conservative whose faith and core values heavily influence his policy priorities. Lankford’s priorities include reducing government overreach, cutting burdensome regulations, providing more authority to state and local jurisdictions, and moving towards a flatter tax code. In 2017, he voted in favor of the Tax Cuts and Jobs Act (P.L. 115-97). During his time in the Senate, Lankford has cosponsored 17 tax bills and has sponsored four tax bills. Last year, he was selected as the Senate's best "Taxpayers Friend" by the National Taxpayers Union for his support of lower taxes and limited government. Lankford also served in the House, previously representing Oklahoma’s fifth congressional district from 2011 to 2015. There, he served on the House Budget Committee and as Chair of the House Republican Policy Committee. Prior to serving in Congress, Lankford directed youth ministry programs for the Baptist General Convention of Oklahoma and the Falls Creek Baptist Center, the largest Christian camp in America. Sen. Catherine Cortez Masto (D-NV). Cortez Masto is the senior Senator from Nevada and has represented the state since 2017. In Congress, Cortez Masto has focused on issues related to healthcare, immigration reform, renewable energy, human trafficking, and environmental policy. She voted against the Tax Cuts and Jobs Act (P.L. 115-97). Since joining the Senate, she has introduced one tax bill and has cosponsored 17 tax bills. Cortez Masto currently serves as the Ranking Member of the Water and Power Subcommittee of the Energy and Natural Resources Committee and is the Chair of the Democratic Senatorial Campaign Committee. She previously served as Chief of Staff to Nevada Governor Bob Miller and served as Nevada’s Attorney General from 2006 to 2014. Cortez Masto is the first woman to represent Nevada in the Senate and the first Latina elected to the Senate. Sen. Todd Young (R-IN). Young is currently serving his first term in the Senate, representing Indiana since 2017. During his short tenure, the self-proclaimed libertarian-conservative has championed lower taxes, reducing the reach of the federal government and undoing the Affordable Care Act. He voted in favor of the Tax Cuts and Jobs Act (P.L. 115-97). Since joining the Senate, he has introduced 13 tax bills, including the Death Tax Repeal Act this session. Young has cosponsored 90 tax bills. Prior to joining the Senate, Young served three terms in the House (2011-2017). While in the lower chamber, he served on the House Ways and Means Committee and introduced a number of tax-related bills. Young was selected by his peers to serve as the National Republican Senatorial Committee Chair. Prior to his time on the Hill, Young was commissioned in the Marine Corps, where he was a platoon commander and intelligence officer. He later worked at the Heritage Foundation and as a congressional staffer. In 2007, he founded a fiscal responsibility advocacy group, the National Organization for People vs. Irresponsible Government Spending. It’s Not What it Looks Like! Top tax writing committee Republicans—Senate Finance Chair Chuck Grassley (R-IA) and Ways and Means Ranking Member Kevin Brady (R-TX)—wrote an opinion piece in USA Today in an effort to combat bad press and provide context on lower tax refunds for 2018 following the passage of the Tax Cuts and Jobs Act (P.L. 115-97). The pair cited a Morgan Stanley report estimating that total refunds will actually increase this year by 26 percent, or $62 billion. They also pointed out that this is an unusual filing season due to the partial government shutdown, which may have impacted initial refund statistics. The opinion piece also states that there is no direct correlation between the size of a refund and the actual amount of taxes owed—lower refunds may simply result from larger paychecks and under-withholding. Grassley and Brady urged taxpayers to compare paychecks mid-year to those of the prior year. While Grassley was not the head of the Senate tax writing committee at the time, both lawmakers had a major hand in the passage of the TCJA. The piece touts the successes of the TCJA, including a surge in employment, an increase in the number of start-up companies and a higher median household income. Charity Shmarity. A report released last week by the Blackbaud Institute for Philanthropic Impact showed that charitable giving was relatively flat in 2018, a trend some are attributing to the Tax Cuts and Jobs Act (P.L. 115-97). According to the report, revenue from donations of at least $1,000 grew by 2.6 percent in 2018, and overall charitable giving grew by 1.5 percent on a year-over-year basis—a significant decrease in the growth rate compared to the 4.1 percent increase between 2016 and 2017. While donations Contributions to nonprofits are typically incentivized through tax deductions, but the TCJA doubled the standard deduction and capped the state and local tax deduction at $10,000, possibly making charitable giving less attractive to taxpayers. Experts also attributed the dip to uncertainty surrounding how much taxpayers will get back in tax refunds as the first tax filing season to be affected by the TCJA unfolds. Everything is Alright. Internal Revenue Service Commissioner Chuck Rettig said the tax filing season is running “smoothly.” The comment was made in response to some uncertainty regarding the capabilities of the IRS, as early reports have shown that taxpayer refunds have been an average of 8 percent smaller this year compared to the same time in 2017. The drop in refunds stems in part from the fact that three weeks into the filing season this year, less than half of the expected refunds from the Earned Income Tax Credit and Child Tax Credit have been processed. By contrast, all of the refunds from those credits had been processed by the end of the third week of filing season last year. Due to the PATH Act, H.R. 2029 (114th Congress), these refunds cannot be released before Feb. 15. Rettig also cited a number of positive statistics to bolster his claim that filing season is going well, including a new internal record of processing 1.9 million returns in an hour. 1040, Over and Out. House Ways and Means Committee Chair Richard Neal (D-MA) and Oversight Subcommittee Chair John Lewis (D-GA) wrote a letter to Internal Revenue Service Commissioner Charles Rettig last week to gather information about the new IRS Form 1040. In the letter, the committee leaders laid out concerns that not enough research was done on the usability of the new individual income tax return and its six accompanying schedules. The new form was part of the Tax Cuts and Jobs Act (P.L. 115-97) and was meant to “replace all the existing Individual Income Tax return forms—the 1040, 1040A, and 1040EZ—with a single new Form 1040.” While the form was intended to make tax filing easier for Americans, National Taxpayer Advocate Nina Olson’s recently released 2018 Annual Report to Congress suggested otherwise. The report stated that the new schedules will increase “the potential for errors to occur since the tax information is dispersed over many pages and needs to be tracked down and reported on different schedules and forms.” The report prompted Democratic leaders to request the following information from the IRS: information on third party studies of the usability of the postcard; reports that were completed regarding any studies; a description of what was done in response to any studies; and an explanation of why any or all third party study results were not shared with the public. The committee leaders requested that their questions be answered by Feb. 27. The report noted that the last Internal Revenue Service (IRS) estimate of the self-employment portion of the annual tax gap was $69 billion. Since that estimate was made, TIGTA stated that economic trends have seen the gig economy surge and warrant a reevaluation of current IRS practices. To carry out the audit, TIGTA reviewed nine gig economy companies for individuals in the IRS’s Automated Underreporter (AUR) program who have had discrepancies between their reported income tax returns and reports received by the agency between 2012 and 2015. The review found 264,346 cases of potentially underreported payments on Form 1099-K, Payment Card and Third Party Transactions. Moreover, the report highlighted that, between 2012 and 2015, there was a 237 percent increase in tax reporting discrepancies between gig economy payers and what was reported on Form 1099-K. Upon the completion of the review, TIGTA primarily recommended that the IRS make adjustments to the AUR program and clarify third-party reporting regulations to reduce the information reporting gap. Of TIGTA’s eleven recommendations, the IRS has agreed or partially agreed with nine of them, citing implementation costs as the only inhibiting factors for the remaining two. You Get Free Child Care and You, and You! Everybody Gets Free Child Care! Democratic presidential candidate Sen. Elizabeth Warren (D-MA) proposed a universal child care plan, the Universal Child Care and Early Learning Act, on Feb. 19. Warren’s plan would create a network of child care options for families through a federal government partnership with local providers , including states, cities, school districts, nonprofits, tribes, and faith-based organizations . These options would include locally-licensed child care centers, preschool centers, and in-home child care providers. Under the Warren plan, families earning less than 200 percent of the federal poverty level would be able to send their children to these centers for free. Families earning more than that would be charged on a sliding scale, up to a maximum of 7 percent of their income. Many American households spend as much on rent as they do on child care, with the average cost of child care in the U.S. approaching $1,400 a month. Warren’s plan would reduce these costs for most families. Warren’s plan also proposes raising pay for early childhood education and making their compensation on par with public elementary school teachers. Critics have expressed concerns that sharp increases in labor costs may result in higher child care prices, which could cause the price tag on the Warren plan to increase. Others have noted that in order to compensate for higher labor prices, states may be pressured to reduce staff-to-child ratios, a potential safety concern. According to Warren’s campaign, the child care plan would be funded by a proposed wealth tax on households with more than $50 million in assets. According to Warren, Berkeley professors and economists, Gabriel Zucman and Emmanuel Saez, project that the Ultra-Millionaire Tax will generate $2.75 trillion in new government revenue over the next ten years—about four times more than the entire projected cost of the Universal Child Care and Early Learning plan. Warren’s proposal marks the latest Democratic policy entry into a crowded field of ideas from 2020 candidates on how to help working class families. Bern Notice. Sen. Bernie Sanders (I-VT) officially entered the presidential race last week and immediately jumped to the top of the pack. The 77-year-old self-described democratic socialist continues to sing the same populist tune from 2016: let’s increase taxes significantly on the rich and redistribute the proceeds to the quickly fading middle class. Sanders has already proposed a new expanded estate tax this congressional session—the For the 99.8% Act (S.309). The bill would raise rates to 45 percent for estates valued between $3.5 billion and $10 billion and gradually increase to a 77 percent for estates valued above $1 billion. Fun fact: Sanders’s plan would match the all-time highest estate tax rate in the U.S. enacted from 1941 to 1976. His plan would also end tax breaks for dynasty trusts, close loopholes in the estate and gift tax and allow family farmers to lower the value of their farmland by up to $3 million for estate tax purposes. According to Sanders, the tax would apply to the wealthiest 0.2 percent of Americans and impact the collective wealth of 588 billionaires, or $3 trillion. Analysts expect the proposal to raise about $2.2 trillion. According to recent polls, Americans’ appetite for raising taxes on the wealthy continues to grow. Fifty-nine percent of those polled in January were supportive of Rep. Alexandria Ocasio-Cortez’s (D-NY) idea to impose a 70 percent top tax rate on taxpayers earning more than $10 million, and only 37 percent want to maintain current inheritance tax rates. Wall Streeters, on the other hand, are expected to once again root against candidates supporting proposals to increase taxes for wealthy companies and individuals, and among the Democratic field, would instead prefer someone more moderate like Sens. Sherrod Brown (D-OH), Kristen Gillibrand (D-NY), or Kamala Harris (D-CA). Sanders, who remains incredibly popular among millennials, is a significant reason for Democratic candidates moving to the left on wealth and income inequality. Democrats are becoming more vocal about the wealth disparity among Americans and the need for redistribution of wealth, and the issue is sure to play a central role in the 2020 campaign. With the addition of Sanders and Warren to the field, the rest of the Democratic pool may be forced to veer left on taxes in order to appeal to the far-left electorate. Sec. 250 Proposed Regulations Expected as Early as This Week. The OMB’s Office of Information and Regulatory Affairs (OIRA) has completed its review of the proposed regulations under Sec. 250 of the Internal Revenue Code. The proposed regulations contain guidance on the deductions for foreign-derived intangible income (FDII) and global intangible low-taxed income (GILTI). IRS Finalizes LIHTC Compliance Rules. On Feb. 22, the Internal Revenue Service and the Treasury Department released T.D. 9848, final rules that clarify requirements for conducting physical inspections of low-income housing and reviewing low-income certification requirements. TCJA Helps Surge Bank Profits. On Thursday, the Federal Deposit Insurance Corporation (FDIC) reported that collective bank profits increased by 44.1 percent in 2018, or $72.4 billion. Just over one-third of the profit increases—$28.8 billion of total profits—were attributed to lower tax rates under the Tax Cuts and Jobs Act (P.L.115-97). Budget Committee Hearing. On Feb. 27, the House Budget Committee will hold a hearing entitled “2017 Tax Law: Impact on the Budget and American Families.” The hearing is expected to comment on the fiscal and household effects of the new tax law, and bring together witnesses from the Center on Budget and Policy Priorities, Brookings Institution, and American University’s Tax Policy Center. Former Rep. Crowley Goes Private. Former House Democratic Caucus Chair Joseph Crowley (D-NY) joined Squire Patton Boggs’ global policy practice last week. Crowley was previously a senior member of the House Ways and Means Committee before his noteworthy loss in the primaries to self-proclaimed socialist Rep. Alexandria Ocasio-Cortez (D-NY). Medicaid Eligibility Expansion. Amidst proposals from California, Washington state and New York City to expand Medicaid eligibility for undocumented young adults, lawmakers are concerned about the use of federal funds for the projects. 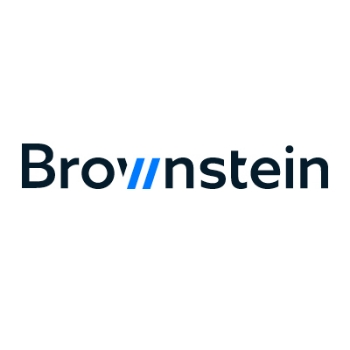 Brownstein gives you the low down. Economists Split on Recession. According to the recent National Association for Business Economics survey, about half of U.S. economists think the U.S. will head into a recession before 2020 is over. CBS has the facts. NYT on Taxing the Wealthy. Democrats continue to propose additional taxes on the wealthy. The New York Times has some thoughts on the best methods of accomplishing the tax increase. Sanders’s Tax Returns. Presidential hopeful Sen. Bernie Sanders (I-VT) will release a decade of his tax returns. As the Motley Fool reports, he has previously released a year of his returns. Find out what they reveal. Another SALT Pun. With tax refunds dipping from last year, taxpayers are calling on lawmakers to ditch the Tax Cuts and Jobs Act’s (P.L. 115-17) limit on state and local taxes. The Hill has more.